Abruzzo Pantry is the retail e-commerce site for Marcelli Formaggi. We are a small family import company in the New York/New Jersey area, and supply some of the finest restaurants in the area and throughout the country. As our distribution is limited, we wanted to make these exceptionally rare products available to everyone thru this site. 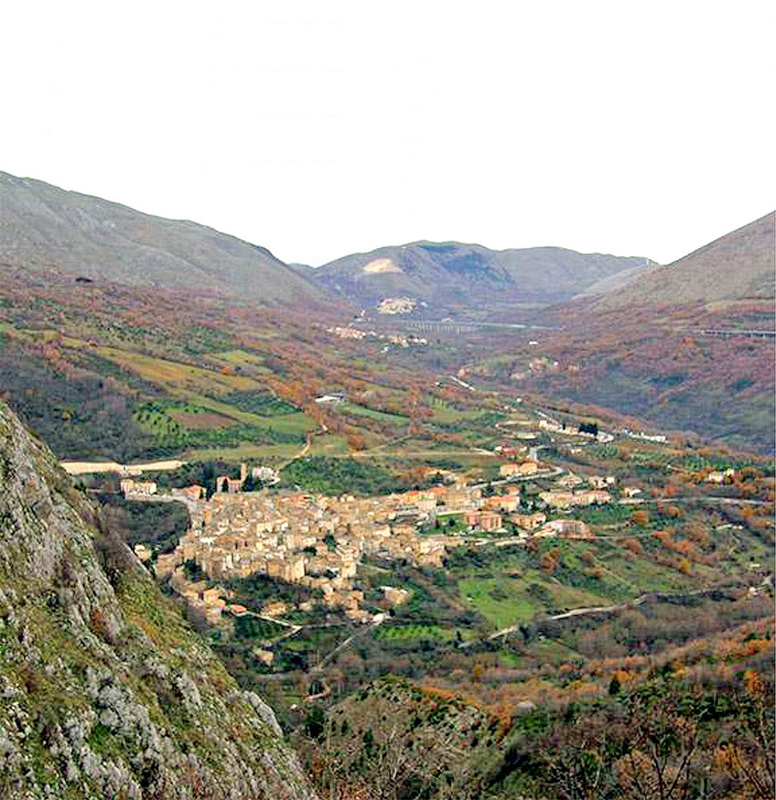 The terroir of Abruzzo is the link from the past to the present. From the rugged Majella Mountains, the Gran Sasso, Abruzzo national parks and ancient medieval villages, we bring you these products, made with centuries of tradition. We specifically import exceptional award winning organic cheese, which is made by our family in the small mountain village of Anversa degli Abruzzi, population 300. We also import other products from the same village and area, such as extra virgin olive oil from 1000 year old orchards, artisan bronze cut pasta from one of Italy's oldest family producers, savory mountain honey and the saffron of L'Aquila. Most of these products are EU certified organic and are made by small family producers. The farm, "La Porta dei Parchi" the door to the parks, was established in the mid seventies with a few hundred Sopravissana sheep by our cousin Nunzio Marcelli and Manuela Cozzi. Their desire was to preserve a way of life that had existed in Abruzzo for thousands of years, but was in danger of disappearing. It grew from very humble beginnings and today is a sustainable Agriturismo farm, which just received an award from the Italian government as an Organic Village. Today, Nunzio Marcelli, and Manuela Cozzi, continue to pioneer this sustainable model of farming. The cheese that they produce has won many Slow Food awards in Italy and is considered to be the finest example of the cheese of Abruzzo. 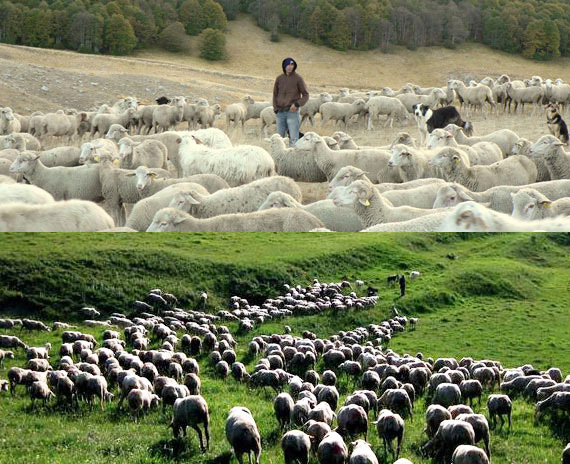 Additionally, they pioneered an Adopt a Sheep project that was featured in the New York Times Sunday magazine in 2000 and have received frequent praise from the European community for their efforts. The olive oil is from trees which grow at the highest elevation possible and were planted by Benedictine monks in 1463. The producer is a fourth generation artisan who, along with his family, is planning on the restoration of the original building where the oil was pressed. Founded in 1867, our bronze cut pasta is made by Pastificio Masciarelli. They are the oldest family owned producer in Italy, still using the same ancient methods as their ancestors; hand made bronze dies, slowly air dried and cut by hand. The honey comes from producers whose bees never leave the area. The beekeepers of Abruzzo have been fortunate and have not experienced the decimation of their hives, as has happened in so many parts of the world. Their savory honey is intense and full of flavor. One of the overriding factors that contribute to the quality of these products is the location. Anversa degli Abruzzi is located in the center of two of the largest National Parks in Italy and is also a World Wildlife Federation site. In these pristine surroundings, with the rugged mountains and micro climates, over 125 wild herbs and flowers have been identified. So the sheep, the bees, the olives and the plants all flourish in these beautiful surroundings. These are products that otherwise would not be available outside of this small region. Our mission is to bring these flavors, the terroir of the small village of our family, here to you in America. The earthquake that devastated L'Aquila, where many perished, not only destroyed this beautiful and historic city, but also destroyed the markets where most of our small producers sold their products. Thank you for your interest in the ABRUZZO PANTRY, we will be adding extra features over the next few months, so come back regularly.